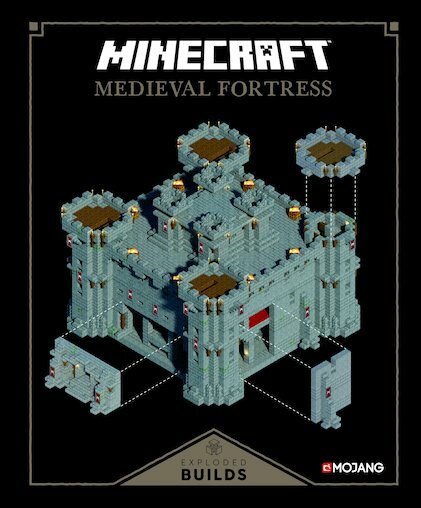 Rule your Minecraft kingdom from a suitably impressive castle! Ever fancied owning a mighty medieval fortress, complete with turrets, dungeons and a drawbridge? (Go on: admit it.) Now you can design and build a massive castle that matches your grandest ambitions. Plus, you get a whole medieval kingdom to rule! Insanely detailed exploded diagrams show you how to customise every nook and cranny, from sturdy walls to grand throne rooms and deadly traps. Bling it up as much as you like. Result: a mighty fortress that protects your friends and dominates your terrified enemies. Enjoy! The Book is really helpful as it separates the diagrams that are sometimes quite confusing into smaller, easier chunks!